For narrative writing we have been looking at these resources. We have started writing our stories and giving each other feedback on what we have written. 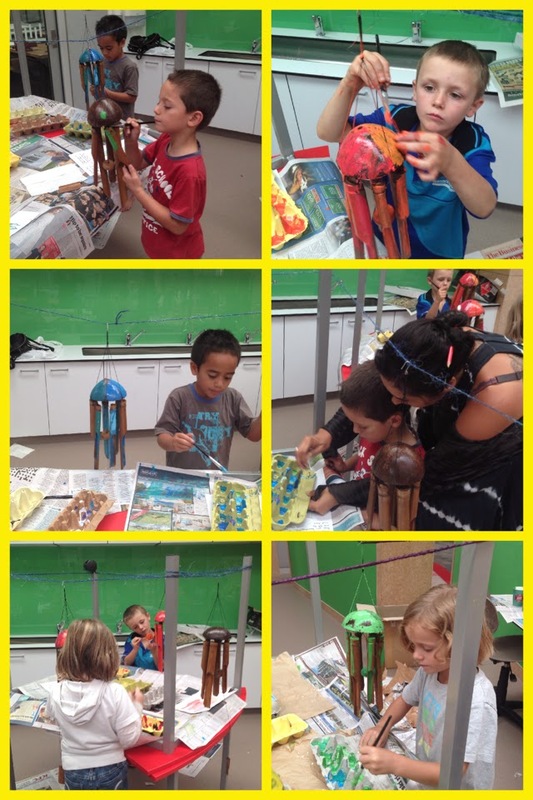 Our wondering (immersion) has taken us on a journey to create our own planet. We are thinking about what kind of culture we want to create on our new planet. Some are building a collaborative planet and are using Build with Chrome to make this. This is one of the learner profile goals we have been working on. We have been giving each other kind, helpful, specific feedback to help with our learning. We enjoyed watching Austin's butterfly and seeing what is possible with the right feedback. 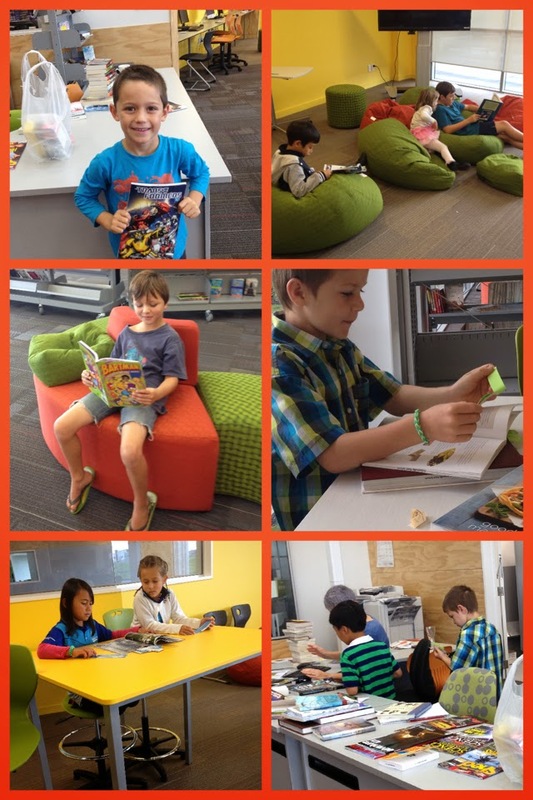 Our library space is open and ready for business. Hi I'm Laura and I will be your guest blogger. 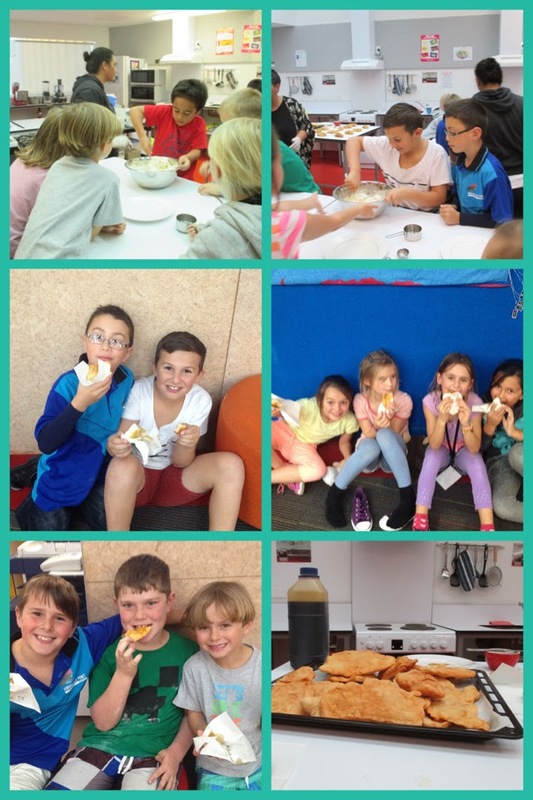 Check out what we have been doing this week. Ethan wrote this piece of writing on his own and used a dictionary to edit it. 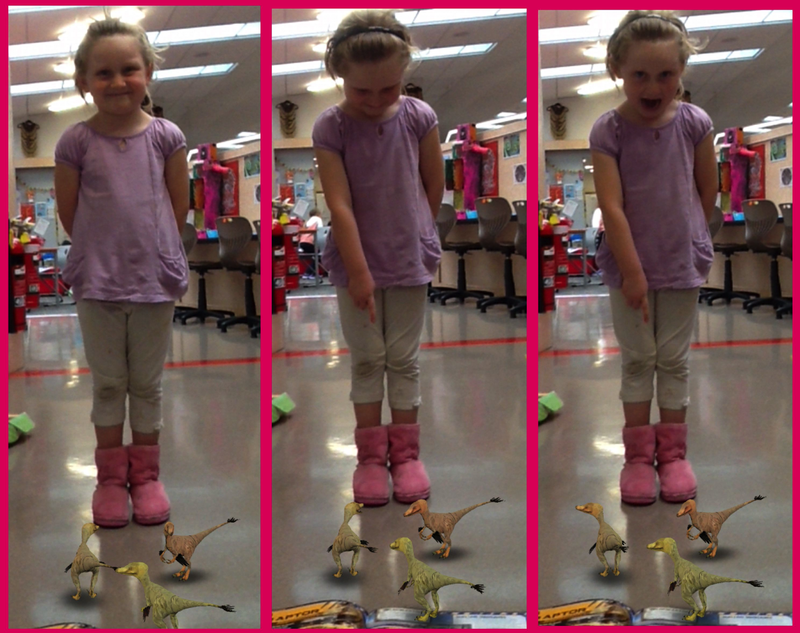 He published it in his Google Docs and illustrated it using Doodle Buddy on the iPad. We have been looking at questions that you can Google and 'ungoogleable' questions. We also plan our day we have some people that are supported so they use the visual planner and for self managing they use daily planner and the weekly planner. Last term we put up a map of the world and then we put up what culture we are from. 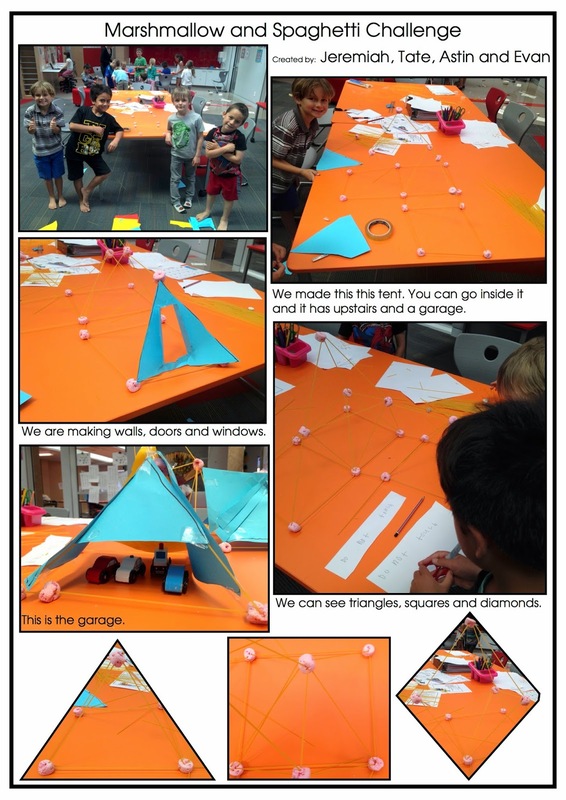 Last term we got to make some goal fish. We put our goals in to the fish. The learner profile is put up for all of us to see and use. In the morning we write how we feel on our tweet sheets. The maths wall is what we use to know what we are working on for maths. Every Tuesday we have learning advisory time so we have a topic that we work on. 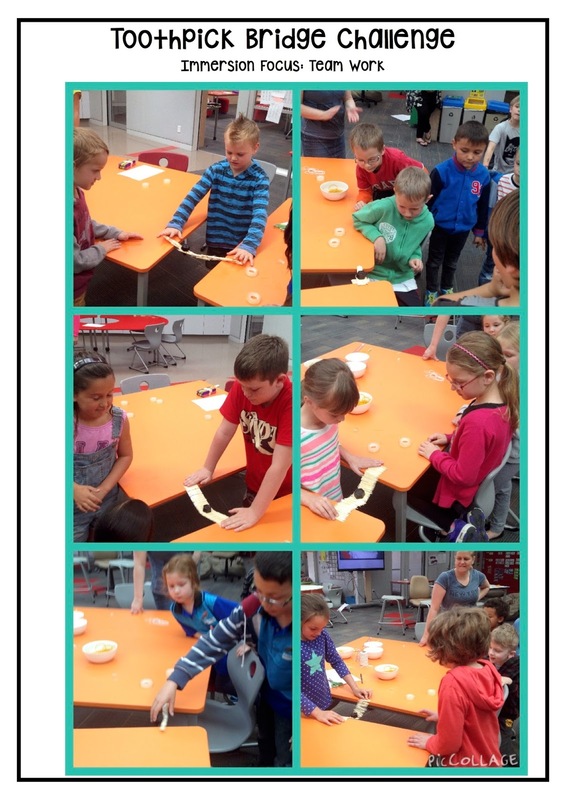 This week we talked about giving feedback. We have had such a busy couple of weeks, we haven't had time to write a post! 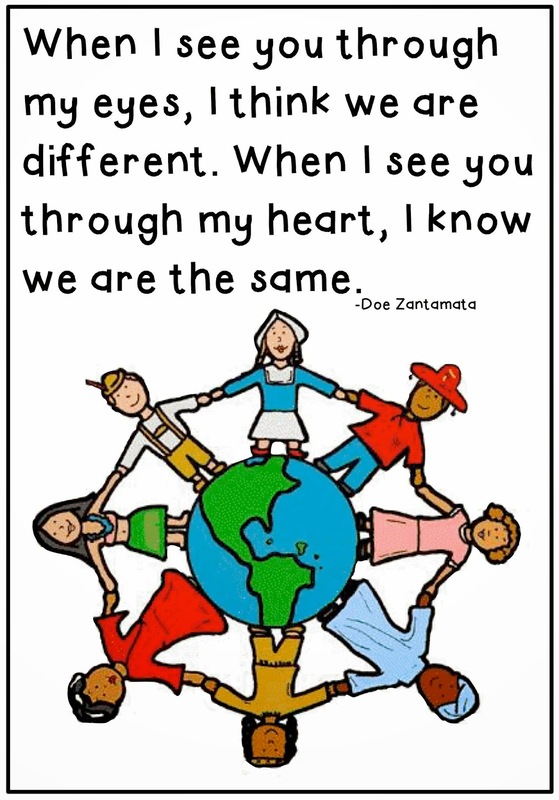 We have been learning about different cultures. It has been great to see our collection of cultural artefacts grow. We have also been discussing googlable vs. non googleable questions as we develop our 'I Wonder' wall. 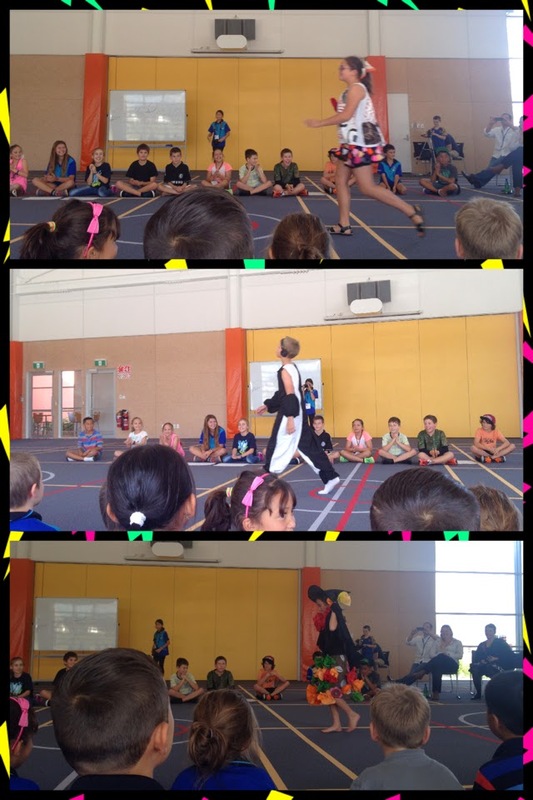 Culture Day was a huge success! 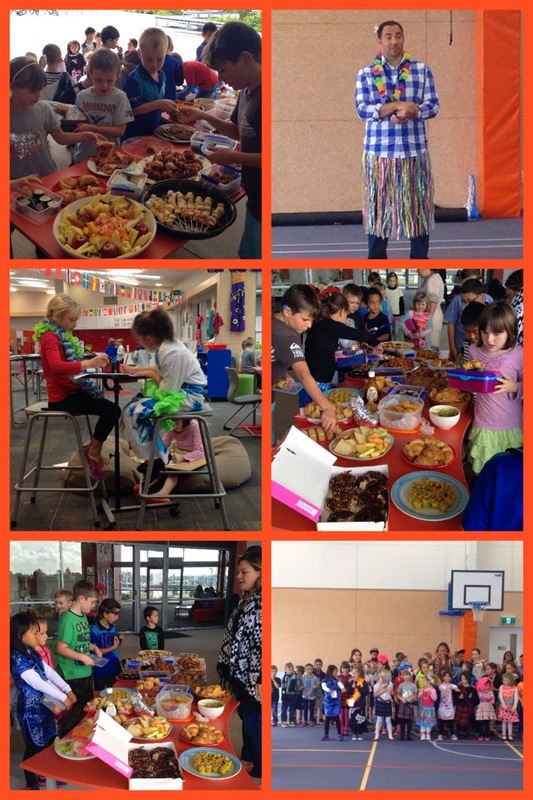 Highlights were dressing up, the parade and sharing our cultural feast. 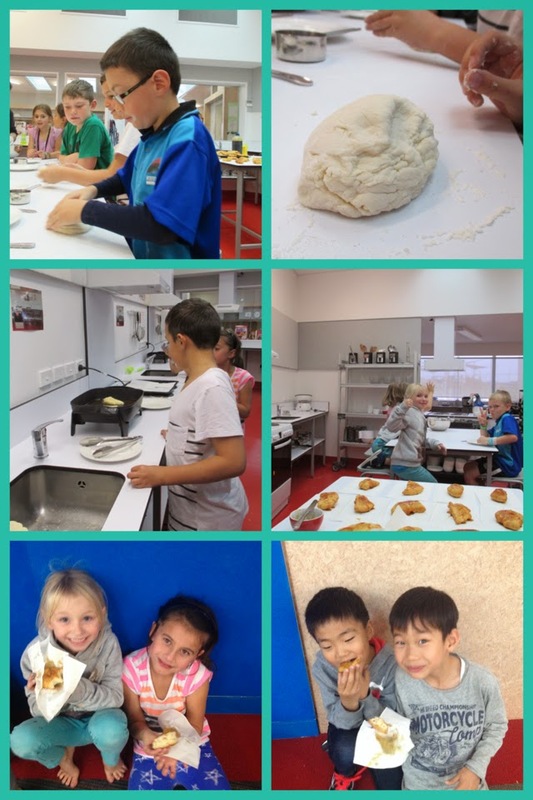 We had an expert come in and help us make fried bread, which was delicious! Thanks for everyone's support with the celebration of our learning. It was great to see families come in and see some of the learning that has taken place. We are also working on adding content (we are loving interviewing each other), so check out our progress over the coming weeks. Here is Grace interviewing Ben about his project. Feel free to leave a comment with any feedback. We will be working on our interviewing and filming skills, so check out our progress. 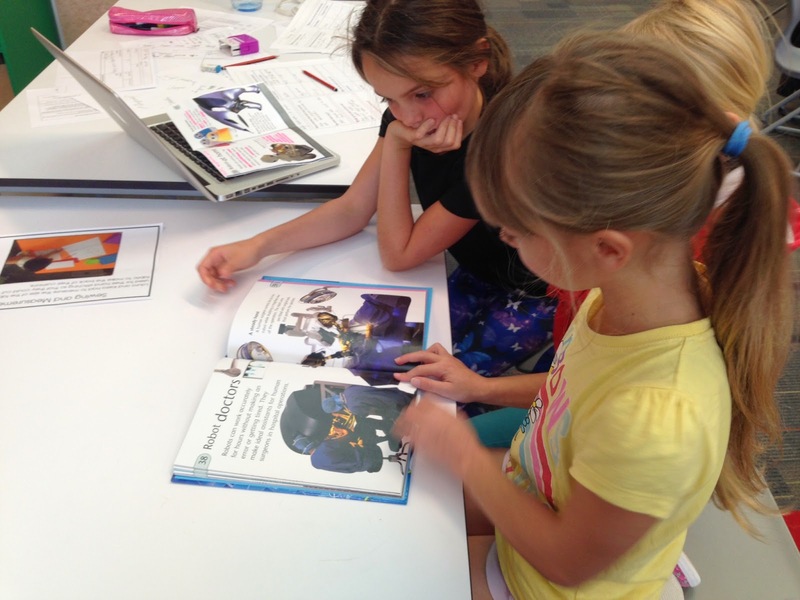 We began our immersion into the concept around different cultures. Check out the video below of us getting to know some other countries flags. 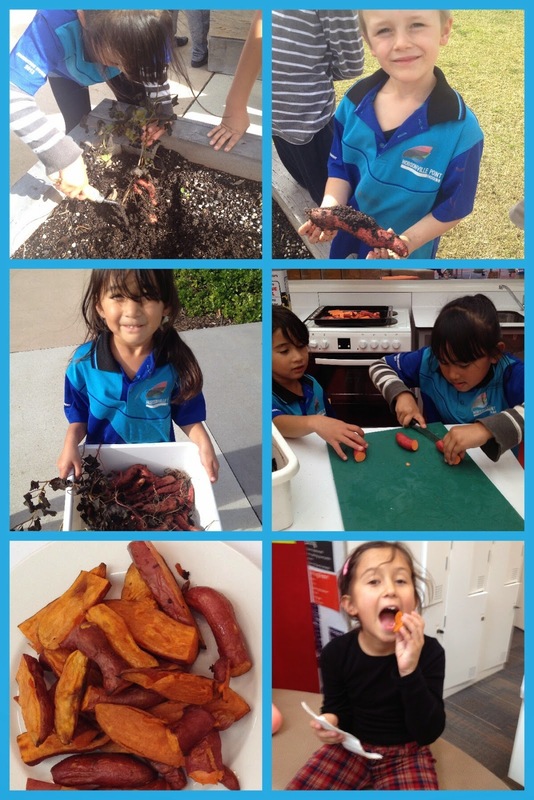 We wrapped up our week with an awesome trip into town courtesy of Sealord and the Marine Stewardship Council. We were invited to participate in this free event where our students had an augmented reality experience, catching 3D fish on a screen and learning about marine conservation as part of World Oceans Day. It was fantastic. 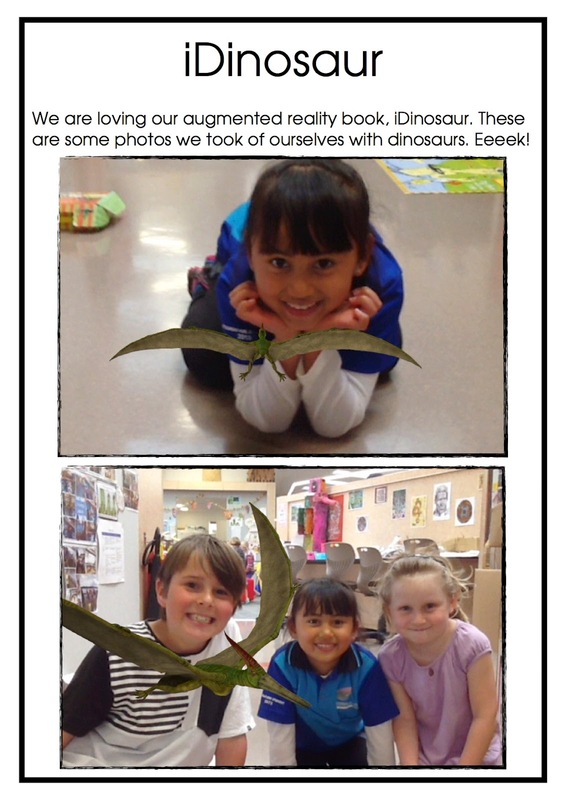 This is the last week of the project phase of our learning. On Monday we are having a Celebration of Learning for you to come and see what your child has been working on over the past few weeks. From next week, we will begin our immersion phase. Our concept this term relates to culture and we would love for you all be involved throughout the term with this. We will keep you in loop! Here is our provocation for our immersion. We are deep into our projects for this block of learning. In groups the challenge was set to invent one thing to make the world a better place. We have been busy developing, design and re-designing these inventions. So how do robots help people? Reading about robot doctors. We planted kumera at the end of last term. When we checked it this week, the plant had died off and the kumera were ready to be harvested. We then dug up the kumera, washed, cut and baked them in the oven. Everyone tried them...yum! 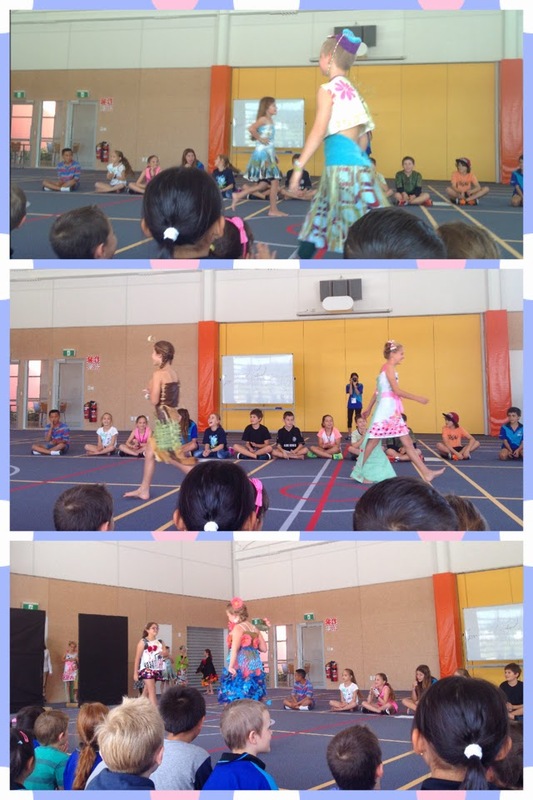 This week we had the privilege of watching Learning Common 3's Trash to Fashion show. We loved their costumes and some of our students are hoping to get involved in this project next year. Well done to the students in LC3 who designed, created and modelled these amazing outfits. 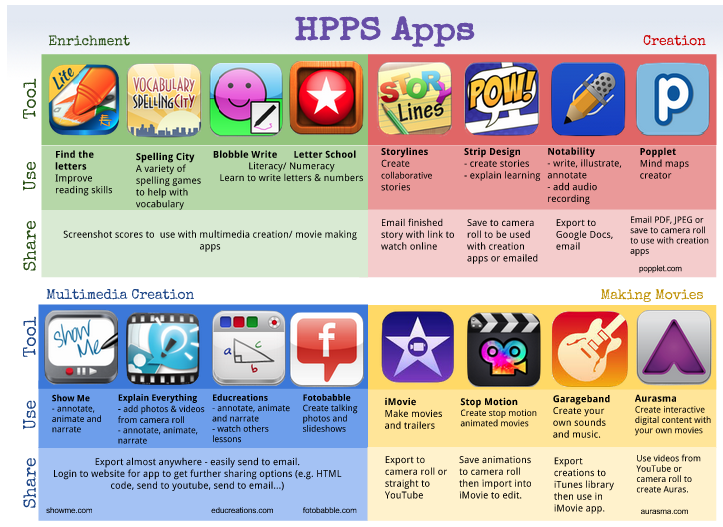 Below is an image of some of the apps we use in LC2. 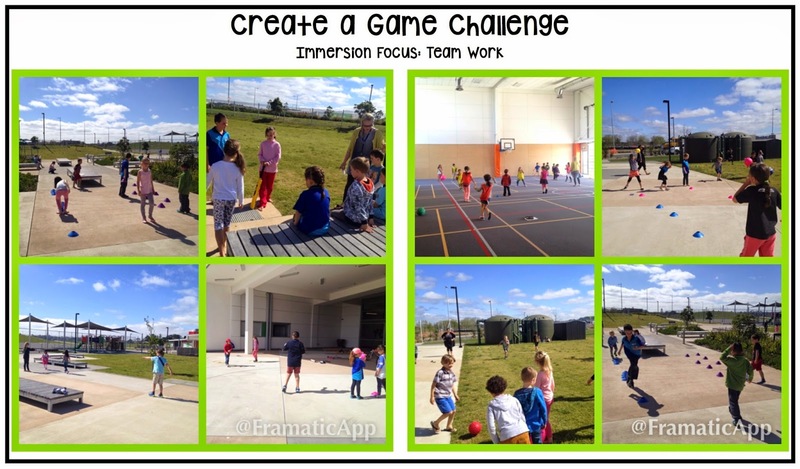 If you click on the image you will be taken to our LC2 learning hub site where this page is interactive. You will be able to click on the app images and this will lead you to the iTunes store. This week we have been busy planning and running workshops. We have been teaching others how to play touch, sketch, sew, use go carts, create origami, Hip Hop dancing and make goo for kitchen science. 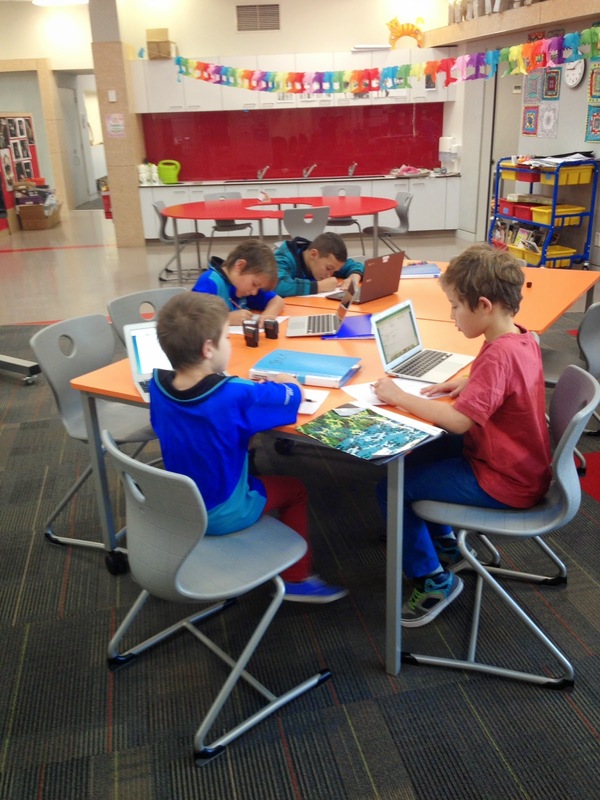 We have also been working hard on our projects. Some of us have attended a workshop run by Ria in LC3 around using Mindstorm to program robots. We have also been privileged to have Owen teach us sign language this week for New Zealand Sign Language week. We learnt how to say good morning, lunch and the alphabet among other things. We have had a busy beginning to the term, with lots of experts sharing their skills and expertise with us. 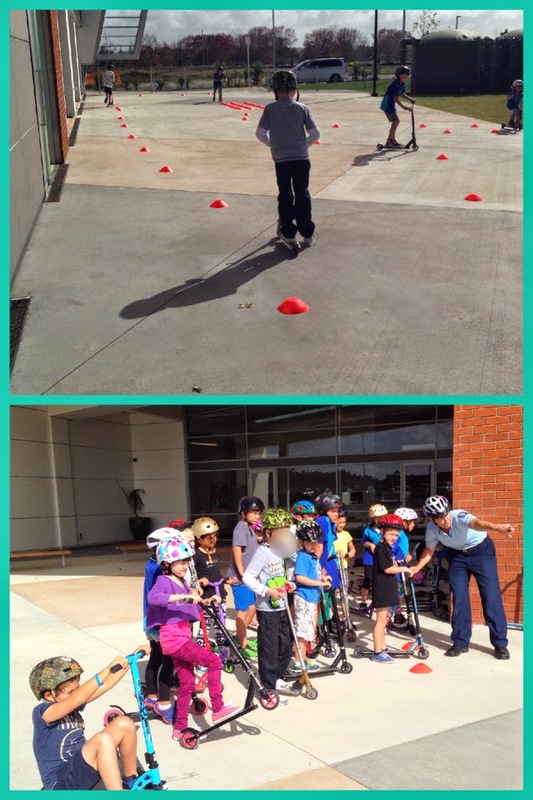 We had Constable Lorena come in to teach us road safety and bike and scooter safety. Tiffany Singh come in to run a community art project with all of our students. 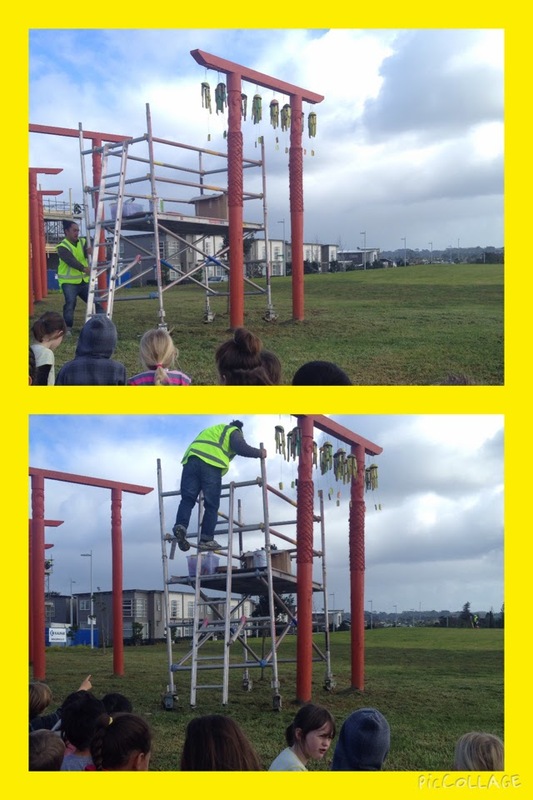 This featured wind chimes and will be located in the park near our school (our students call it the Acorn Park) and will change each season so keep an eye out for this amazing art. We finished our first week back with a visit to the Secondary school to see how their awesome school could help us with our projects. 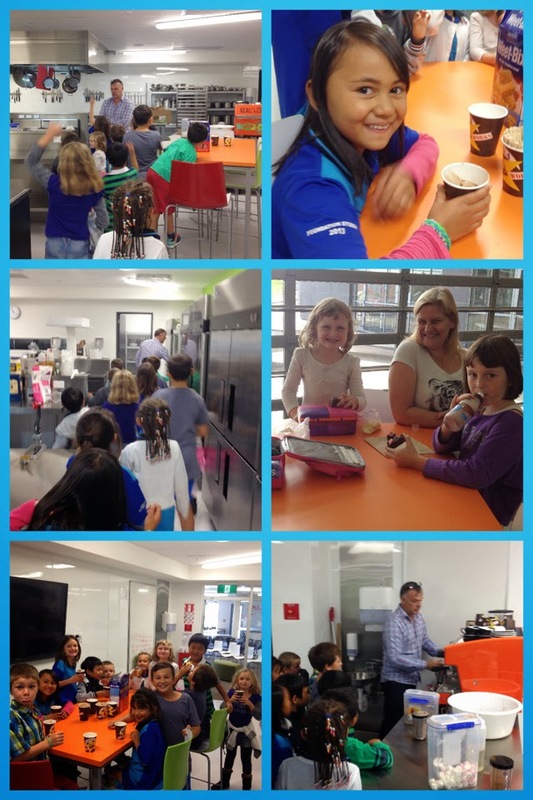 We went to their library to talk to Georgi and Leigh about our project topics then broke into our project groups to talk to Steve about robotics or Pete about cooking and restaurants. 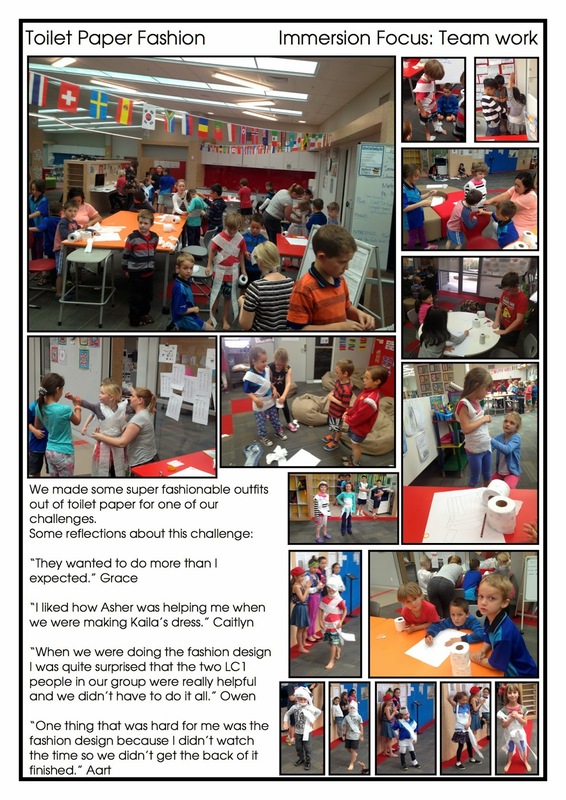 We've had another busy week in LC2. 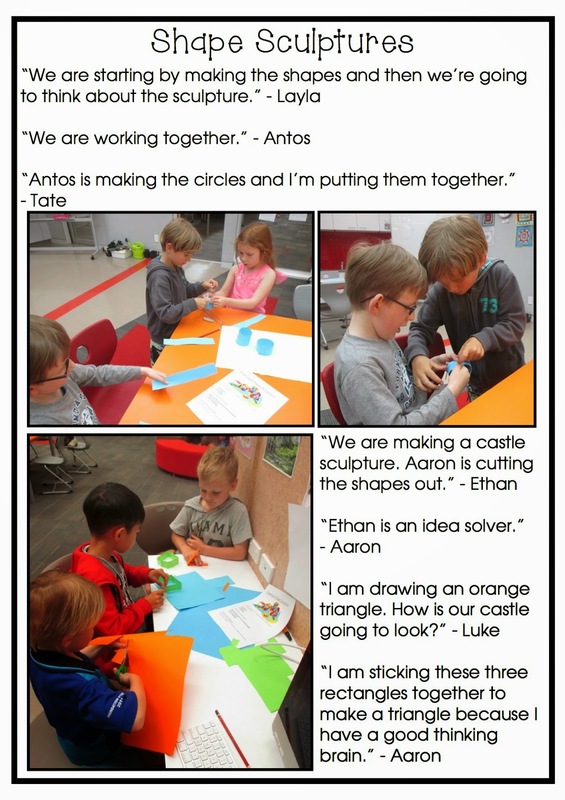 We have started our collaborative projects which relate to our inventive thinking immersion, so make sure you ask your child what their project is about. 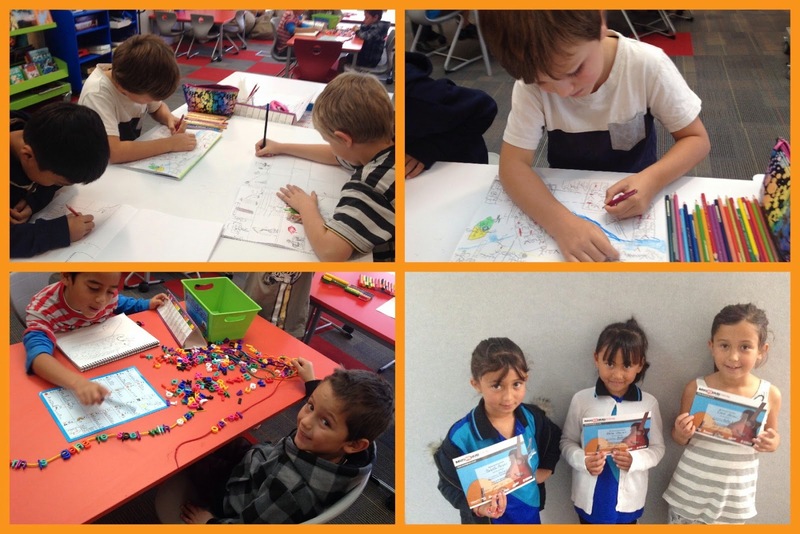 We've enjoyed sharing our learning journey with you during our IEMs, as well as goals and celebrations. Our students have started running the workshops they have been busy planning. This is a fantastic opportunity for them to share their skills with others. 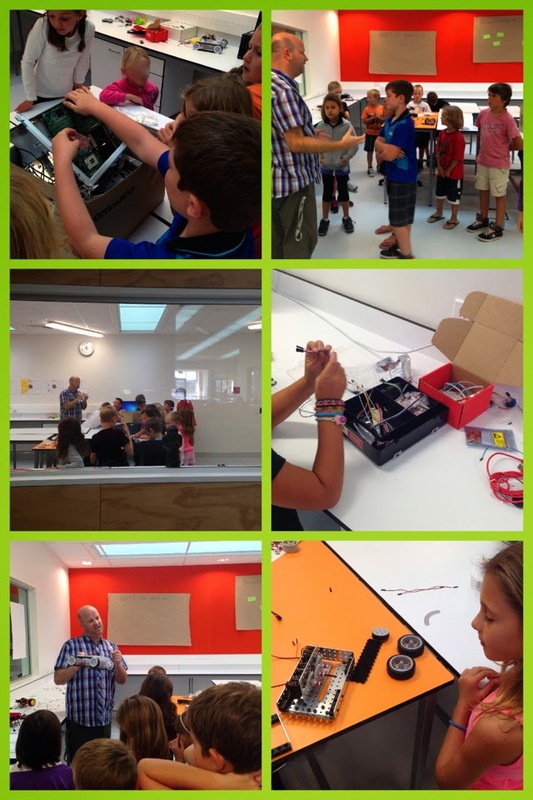 During our trip to The Mind Lab we got to use a MaKey MaKey kit to create circuits and programme our own sound effects using the programme Scratch on the computer. Using touch pads, everyday objects are transformed into the keys from the keyboard. 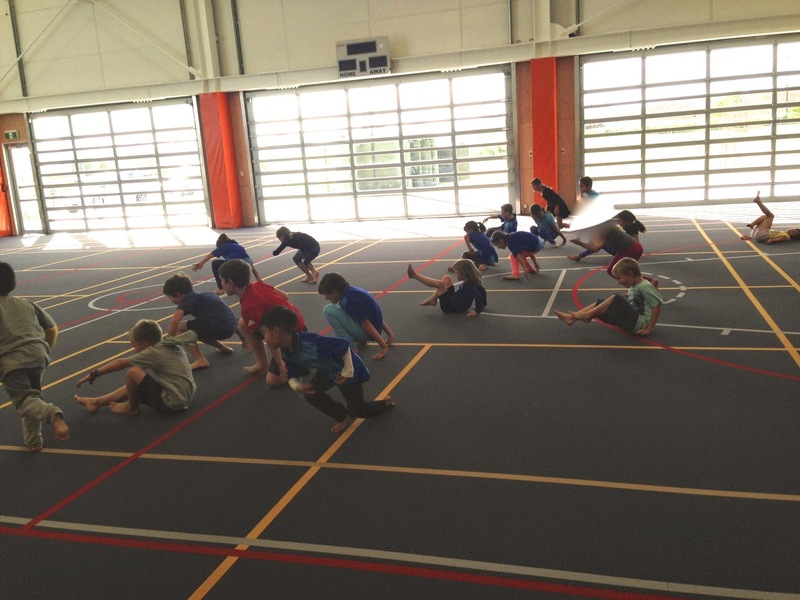 On Tuesday we had our first sports sessions run by the Hobsonville Point Secondary School students. 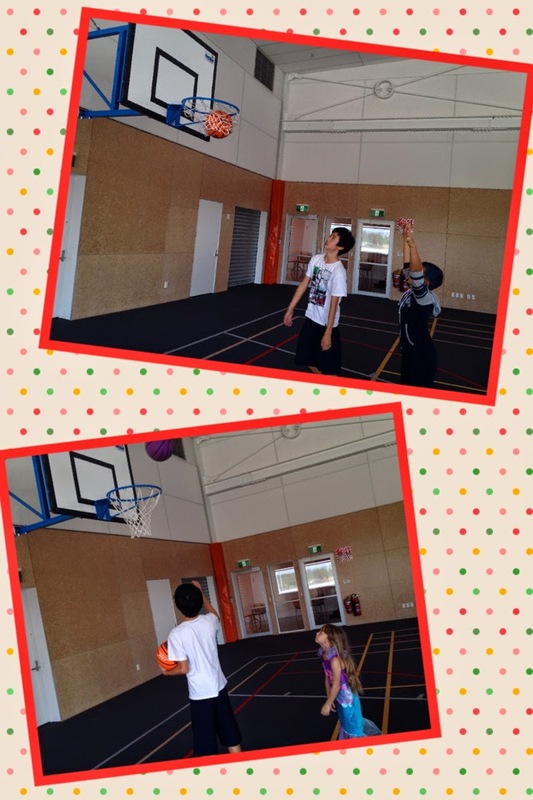 Our students are involved in different sports at this time, including soccer, hockey, netball, rugby, cricket and basketball.